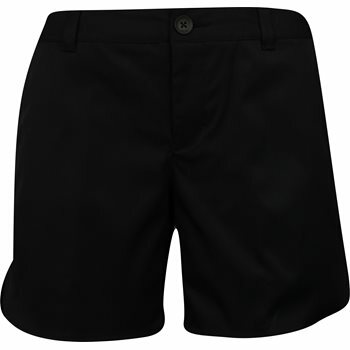 Stay cool and comfy on the golf course in the Oakley Enjoy Chino Golf shorts. The performance fabric provides breathability to keep the skin ventilated, moisture wicking to keep the skin dry when sweating occurs, and stretch for a comfortable fit and movement with ease. The polyester fabric is machine washable and will not shrink. It is also resistant to wrinkles so you can spend less time ironing and more time on the golf course.